The 34th release on Clubsonica Records welcomes Movemé to the label for his debut single. Andre Wolf aka Movemé hails from Germany and has been shaping his own brand of deep house from his Frankfurt based studio. Now after much anticipation he makes his production debut on Clubsonica Records with 'Yes I Do', alongside remixes from Soluna, Diego Astaiza and Dimuth K.
The original mix certainly points to a promising career for Andre. Beginning with poignant pianos and soulful vocals it's an emotive beginning, perfectly foreshadowing the impassioned journey to come. At under six minutes it's concise and well programmed with warehouse grooves, vibrant bass tones and emotive chord changes perfectly complementing the charming vocal lead. This may be Andre's debut for the world but his sound is that of a seasoned veteran, and with a bevy of tracks in the pipeline this is an artist ready to make his mark on the electronic music underground. The first interpretation of 'Yes I Do' is provided by Soluna. Soluna has become a master storyteller, with creations venturing into the ten minute plus range, captivating listeners with a bevy of themes and evolving storyboards. His 'Yes I Do' interpretation certainly follows suit and might be his best remix production to date. Deep and rolling, the groove creates a strong presence as vocal edits and a drifting tone build rhythm and tension. Clocking in at just under two minutes the main break splits the journey with cinematic drifts and a shifting percussive cadence, eventually leading to a well crafted drop and cosmic finale. Another marvellous journey from Soluna and one you'll want to get lost in several times over. The second interpretation of 'Yes I Do' is provided by Diego Astaiza. Now making a much anticipated return Diego provides a sensational interpretation of 'Yes I Do'. Remarkably fluid, the Colombian artist brings the vocal to the forefront; surrounded by catchy rhythms and bouncy themes, it's an energetic jaunt to the main break. Masterfully crafted the centrepiece brings a soulful flair before a classy drop and funk-fuelled finale seals its brilliance. 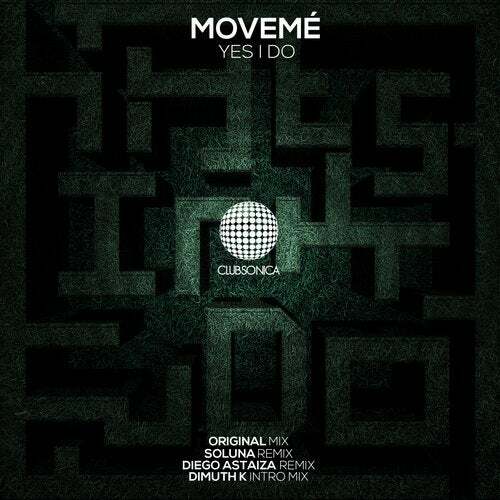 The third and final interpretation of 'Yes I Do' is provided by Dimuth K. An appearance on Max Graham's 'Cycles' 8 compilation got the year off to a great start and a recent release on Tash's Movement Recordings was equally excellent. Now stepping up for his Clubsonica debut Dimuth brings variety and depth to the release with a stunning intro version of 'Yes I Do'. Set against a backdrop of wispy atmospheres and cosmic effects it's a slow burning, spine tingling beginning. Broken beats and a warm, foundation house the expertly executed storyboard, eventually showcasing elements of the vocal with an astral flair. A faultless and utterly gorgeous rendition from Dimuth which rounds out a diverse release from Clubsonica Records once again. Highly Recommended.